Thanks to new dad Jay-Z's "Glory," the newborn is already making music history. 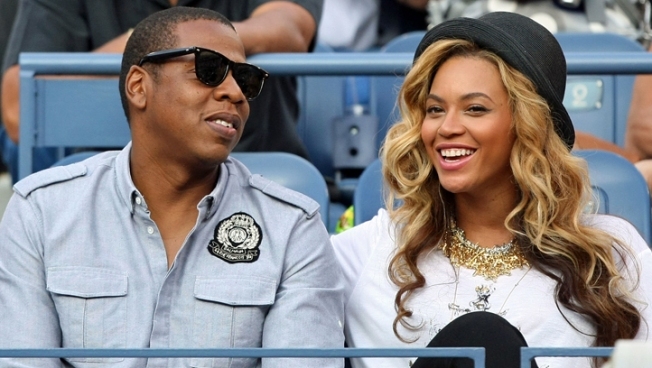 Proud new dad Jay-Z has already made his newborn daughter part of music history. One week. That's all the time it took for Blue Ivy Carter to make music history. The newborn daughter of rapper Jay-Z and singer Beyonce, whose cries were sampled in her proud papa's newly-released single "Glory," became the youngest person to ever appear on the Billboard charts. She is credited as a "collaborator" on the single, which has as its official title "Glory, Featuring B.I.C." (short for Blue Ivy Carter). The song debuted at No. 74 on the charts. Billboard magazine makes mention of a similarly-themed song - Stevie Wonder's ode to newborn daughter Aisha "Isn't She Lovely" - but that single didn't reach the charts until two years after the baby's birth, and Wonder did not credit his daughter for her inspiration. "Glory" is the highest new entry in the R&B/Hip Hop Song chart, with 1.7 million audience impressions on 54 radio stations. Let's see what she has in store for a follow-up.